Choose to enroll as an individual or as a company/organization. 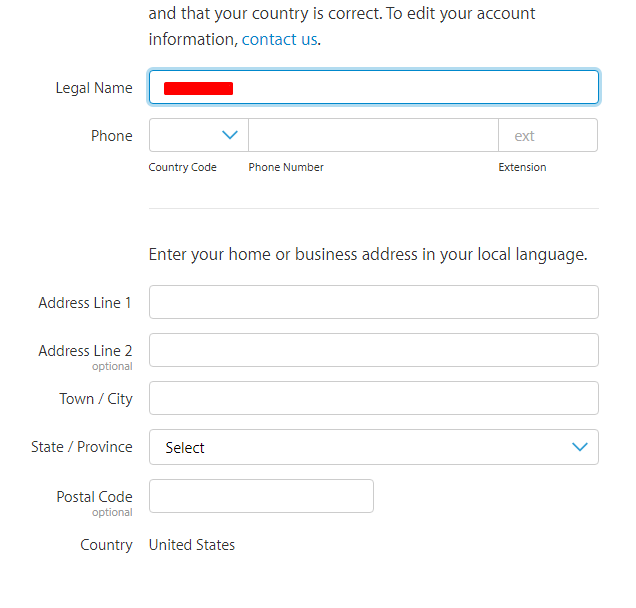 If you enroll as a company, you are required to enter details of a contact who can verify that you have legal authority over the company developer account. Complete all required fields of personal information. Enter your payment details to complete your purchase on the Apple Online Store. 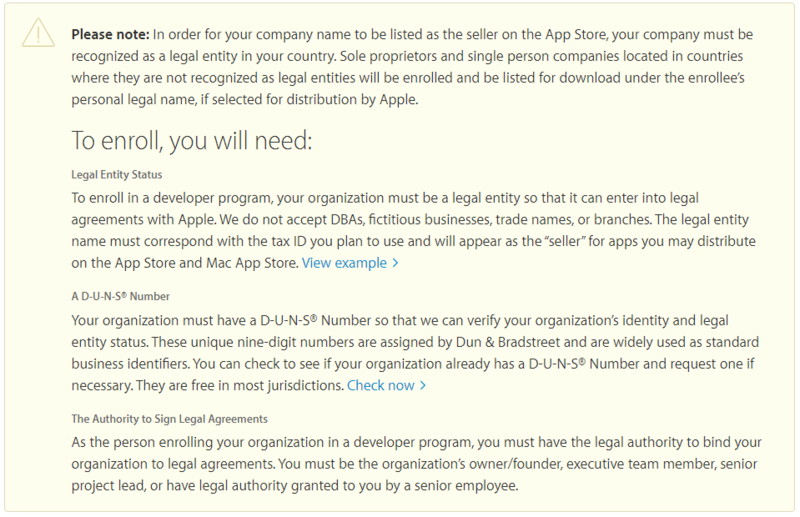 Once your purchase is complete, you will receive a purchase confirmation from the Apple Online Store and an activation confirmation from Apple Developer Program Support. Check your email and enter the verification link sent to you. This will activate your account.